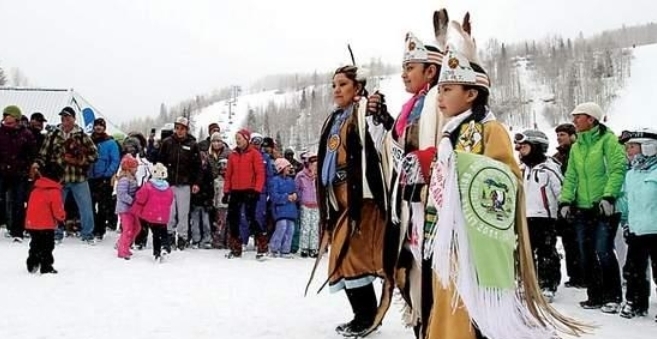 White Wolf : What Indigenous People Celebrate During This Time Of Year. What Indigenous People Celebrate During This Time Of Year. The Winter Solstice has always been a reverent period for Native people all over the world during the Christmas season. It's a time to offer gratitude, honor family and ancestors, and follow a ritual observance of beliefs. A few days before Solstice, members of some tribes make prayer sticks in honor of an ancestor or native deity. They plant the sticks during a ceremony on the Solstice. Hopi Soyaluna Ceremony, various locations: The Hopis believe that on the shortest day of the year, The Creator has traveled far away from the earth. The Soyaluna ceremony, also known as the Prayer Offering Ceremony, is designed to entice Him to return with ritual dance, music, and gift-giving. 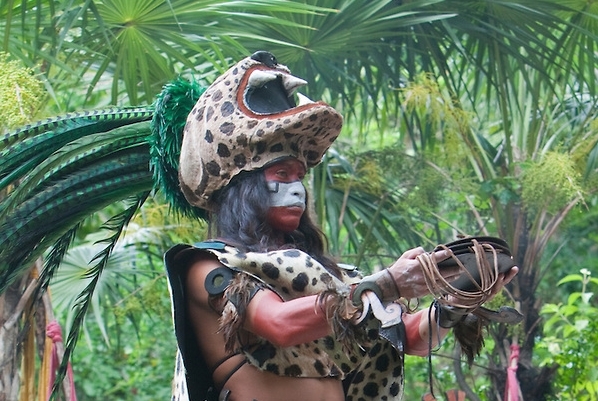 The Enchantment Resort in Sedona, AZ, often features a Solstice celebration with a Hopi Soyaluna ceremony. Australia Indigenous Dreamtime stories obviously do not include Christmas. However, this date in the calendar coincides with other seasonal changes. In Arnhem Land, Northern Territory, Yolngu Aboriginal people will observe the last season of their six-season cycle. Gudjewg, the wet season, begins in late December. 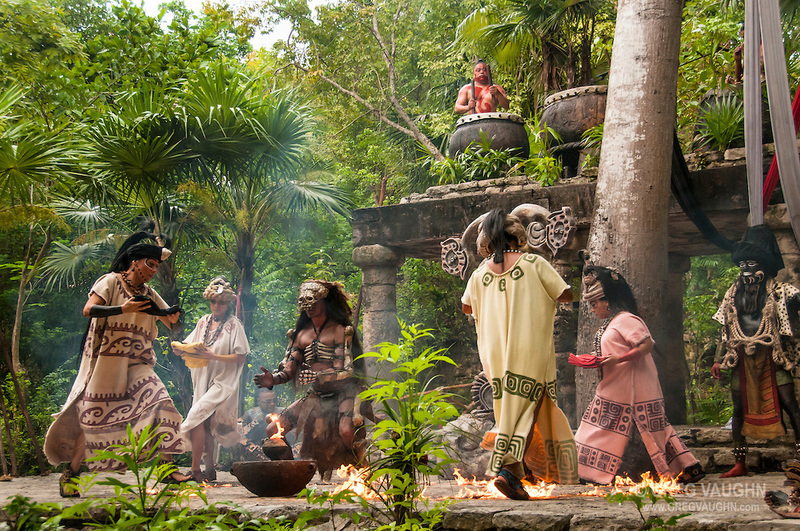 In Guatemala on this periode, Mayan Indians honor the sun god they worshipped long before they became Christians. Three men climb on top of a 50-foot pole. As one of them beats a drum and plays a flute, the other two men wind a rope attached to the pole around one foot and jump. If they land on their feet, it is believed that the sun god will be pleased and that the days will start getting longer. The ancient Incas celebrated a special festival to honor the sun god at the time of the December solstice. In the 16th century ceremonies were banned by the Roman Catholics in their bid to convert the Inca people to Christianity. Scandinavia Legends- The Norse God Odin was The Original Santa Claus: The Norse God Odin was one of the early figures, who rode through the winter world, bringing either gifts or punishments, as appropriate. Odin wore a blue-hooded cloak, and had a long white beard. Because he was able to read hidden thoughts and watch from afar the behaviour of those he visited, he was both loved and feared. In the Northwest, some Native Americans celebrate New Year earlier than the rest of the western world. In fact, tribal New Year is December 20 . "Everyday is Christmas in Indian Country. Daily living is centered around the spirit of giving and walking the Red Road. Walking the Red Road means making everything you do a spiritual act. If your neighbor, John Running Deer, needs a potato masher; and you have one that you are not using, you offer him yours in the spirit of giving. It doesn't matter if it is Christmas or not." "If neighbors or strangers stop over to visit at your house, we offer them dinner. We bring out the T-Bone steak, not the cabbage. If we don't have enough, we send someone in the family out to get some more and mention nothing of the inconvenience to our guests. The more one gives, the more spiritual we become. The Christ Consciousness, the same spirit of giving that is present at Christmas, is present everyday in Indian Country." Responses to "What Indigenous People Celebrate During This Time Of Year." Giving is a joyous act. It should always be given freely. the sick, the voiceless and more are the light. These are all acts of giving and these are the people who give us light. WIthout these people the world would be dark.